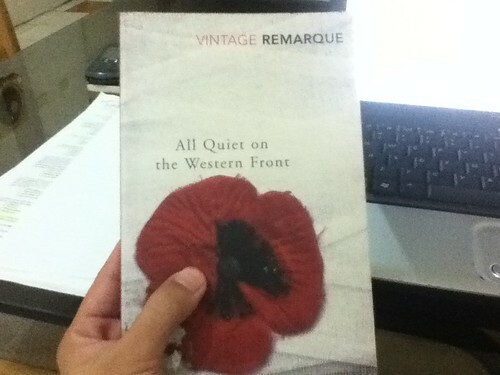 WHILE SKIMMING through my dusty stack of books this evening, I got hold of Erich Maria Remarque's All Quiet on the Western Front, which I had read last year. The short novel is a searing and moving account of young German soldier Paul Bäumer in the trenches. Shortly after World War I began, he and his classmates are drafted for the battlefield. And it hit me: Erich Maria Remarke may well have written about medical school—by accident. Truth be told, PGH can feel like a war zone sometimes. That's the wonder of literature: how people long dead, those who didn't know us, could describe our situations better than we do. Fascinating, I know.